You want to witness pure joy? Check out an NFL team’s locker room after a big win. The New York Jets rallied past the New York Giants in overtime on Sunday. Not only did they beat the team they share a stadium with, they improved to 7-5 and are in prime position in the AFC playoff race. So, what did nose tackle Damon Harrison do? 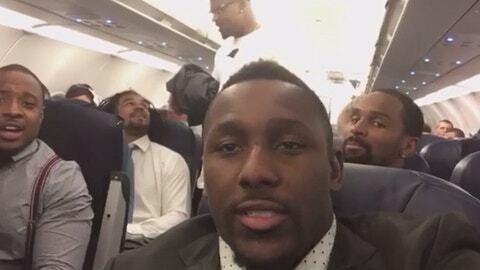 He and his Jets teammates had some fun and he made sure to capture it for us. Watch for cameos from Ryan Fitzpatrick and Antonio Cromartie.